APGPCET Notification 2019: The Andhra Pradesh Residential Educational Institutions Amaravathi had released a notification for the Gurukul Patasala Class V Admissions 2019. The students interested to join in AP Residential Schools in 5th Class need to register for APGPCET-2019. The APGPCET (Andhra Pradesh Gurukul Patasalala Common Entrance Test) is the admission test for the students. The APGPCET 2019 Application Form available in the month of February & March 2019. The students can follow the below steps for Online Registration of APGPCET Admissions 2019. The available dates of APGPCET Online Applications 2019 intimate in our web portal. The candidates can check the APGPCET 2019 Eligibility school wise APSWREIS, APTWREIS, MJPAPBCWREIS & APREIS. Those candidates only eligible to appear for AP Gurukul Patasala 5th Entrance Test 2019. Based on the APGPCET 2019 Merit List candidates will be selected for admissions. The board planning to conduct the AP Residential Admission CET 2019 in April 2019. The candidates can prepare well for the written test to get admission seat in the 5th class. The contenders can stay in touch with our web portal for latest information. The students should complete their 4th class in 2018-2019 from a recognized organization/ board to apply for the class 5th admissions in 2019. The applicants from SC & ST categories must be born in between 2006-2010. And candidates from OC/ BC/ SC-Converted Christians (BC-C) should have born between 2008-2010. The parental income must be below Rs.1,00,000/- per annum as per the latest certificate to register for the admissions. There are no registration fees for the AP Residential School Class V Admissions 2019. Native District of the candidate means the place where the student studied for a period of two years in Class 3rd & 4th. The reservation pattern in all the institutions will be SC-75%, SC Converted Christians -12%, ST-6%, BC-5% & others – 2%. In admission seats for boys & girls 78% of seats reserved for ST community including PTGs, OC (2%), BC (5%), SC (12%) & AEQ(3%). for a period of two years in Class 3rd & 4th. The admission reservation for APREIS is OC/EBC- 41%, BCA- 7, BCB-10%, BCC-1%, BCD- 7%, BCE-4%, SC-15%, S.T-6%, PHC-3%, ORPH-3% & Children of Armed person -3%. The students eligible to apply for their native district schools for admissions. For some schools, the students of other districts also eligible for admission. The Girls of East Godavari District are eligible for admission in Tanam School (Visakhapatnam District), Girls of Krishna District are eligible for admission in Narsapuram School (West Godavari District) & Boys of YSR Kadapa District are eligible for admission in Srisailam School (Kurnool District). For BC Residential Schools – The reservation pattern will be EBC/OC-2%, BC-A -20%, BC-B -28%, BC-C -3%, BC-D -19%, BC-E -4%, SC – 15%, ST-6% & Orphans – 3%. For Fishermen Schools – The reservation pattern will be EBC/OC-1%, BC-A -7%, BC-B -10%, BC-C -1%, BC-D -7%, BC-E -4%, SC – 15%, ST-6%, orphans – 3%. Children of Fishermen-46%. The candidates who are interested to join in admissions & who meet the eligibility requirements can check the application dates online. The application form dates update in our article according to the official site. The students can follow the simple steps to register for AP Residential School Admission 2019. Search for the APGPCET 2019 notification link. Take a printout of the submitted application form for reference. The contenders registered for the admissions may have the entrance test in April 2019. The exact AP Gurukul Patasala Entrance Exam Date 2019 intimated in our web portal. The students need to prepare well for the examination to get best ranks in the entrance test. The details of APGPCET Syllabus, exam pattern, previous question papers etc available on the official website. The students who get more than APGPCET 2019 Cut Off Marks only eligible to get selected in the merit list. The selected candidates in the APGPCET Merit List 2019 eligible for counseling. After completion of the APGPCET Counselling, students will get their seat allotment on the basis of the availability of seats, options filled by the students & APGPCET Ranks. For more details on admissions, students can stay connected with this article regularly. 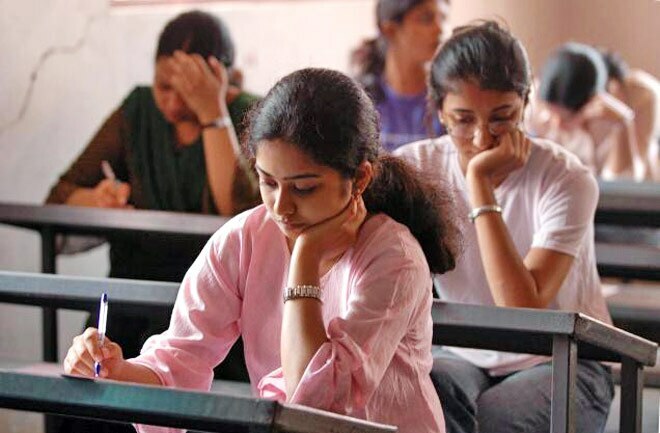 APGPCET Result 2019: The Andhra Pradesh Residential Educational Institutions (APREIS) has conducted the APGPCET (AP Gurukula Patasalala Common Entrance Test) in April 2019 for admission into 5th class. A large number of candidates participated in the entrance exam. The aspirants searching for the Andhra Pradesh GPCET 2019 Results announces on the official website. The contenders appeared for the selection can get the APGPCET Cut Off Marks 2019 in the below article. The participant needs to go through the APGPCET Expected Cutoff 2019 before appearing for the exam. The aspirants can go through the last year cutoff marks to know the passing/ qualifying marks for mains examination. In this page, we are providing the information about APGPCET Admissions 2019 such as result download process, rank card, cutoff marks, seat allotment letter, etc. Participated candidates can need to stay in touch with this main portal for more latest updates. The Andhra Pradesh GPCET is a state level entrance exam which is regulated by APREIS. AP board has every year conducted the entrance exam in April 2019 for 5th Class. This entrance test is a perfect gateway for those aspirants taking for admission into 5th Class. After the entrance exam concludes the APGPCET Entrance Result 2019 will declare in May 2019. People have to check the APGPCET Counselling Dates 2019 declare by the Andhra Pradesh authorities for 2019-20 admissions. For complete details APGPCET 5th Class Admission 2019 to refer the official website. The AP Gurukul Patasalala CET Result 2019 declare the official web portal after the declaration of the result. The students who participate in the common entrance test can check the result from the web link after one or two months after the entrance exam. The releasing date of AP GPCET Score Card 2019 notifies on the official web portal. The aspirants searching for the APGPCET 5th Class Result 2019 will notify on the official website. Most probably 5th class entrance result available in May 2019. The result can download by using entrance hall ticket number and date of birth/ password from the official main page. Here we are providing simple steps to download the results. The students participated in the common entrance test can check the result from the main portal after the declaration of the result. The result download process is given below here. Log on to the official website address first. Find the APGPCET Result 2019 on the homepage. Fill the details like application number, password/ date of birth & asked fields. The APGPCET Result & Rank Card 2019 appear on the screen. Download the result & take a print out of rank card for further uses. The aspirants appear in the common entrance test need to check the cutoff marks on the official web portal. The APGPCET Cutoff Marks 2019 may release in May 2019. The applicants satisfying the qualifying marks will only have a chance to pass the entrance test. The postulants will get the cutoff marks few days after the completion of the APPGCET. The APGPCET Passing Marks 2019 depends on the total number of students appear in the entrance exam, previous year cutoff marks category wise, the number of applicants announces on the web portal. The aspirants need to download the category wise like General, OBC, SC, ST, PWD cut off marks form the official main portal. The previous year cutoff marks will be available on the official web link. The officials will publish merit list of AP based on common entrance exam results and cutoff of 5th Class in Gurukul Patasalala. The APGPCET Selected List 2019 will publish for each of the offered 5th Class Programmes in the AP Board. The merit list will prepare by AP Board. Aspirants will able to check merit list through the official link available. The contenders who are qualified for the entrance test and reach the passing marks those names appear in the merit list. The aspirants can check the result, who qualified in the common entrance exam participate in the counseling process. The connected waiting for the AP GPCET Counseling Schedule 2019 declares on the official main portal. The first counseling process is now about to complete, the final date to complete the admission process soon, as the process of AP GPCET Counselling 2019 completed. Here we have all the latest information on the as per latest information results were declared on the official main page. Aspirants have to pay the counseling fee first for the document verification process. The fee payment has been started in the month of June 2018 for 5th classes. The option entry process commenced in June 2018 as per the ranks. The seat allotment result has declared in the month of June 2019. Aspirants will get seat allotted on various factors like availability of seats, candidates rank & choices filled by participating. Students get the APGPCET Allotment Letter 2019 on the official web portal. People can need to check the final seat allotment letters from an official web link and seat allotment letter will declare after completion of online choice filling and other counseling processes. Contenders can need to carry final seat allotments letter along with them at the time of admission and aspirants should complete with admission process on or before the last date. In case of students will not submit the certificates in the allotted college as per schedule, the seat will cancel. TS LAWCET Notification 2019: The Telangana State Council of Higher Education (TSCHE) had released a notification for the of TS Law Common Entrance Test (LAWCET) for the Law (UG) admissions 2019-20. The contenders who are interested to join in Telangana LLB Admissions 2019 can register through online. The TS LAWCET Application Form 2019 releases in the month of March 2019. The available dates of TS LAWCET Registration 2019 intimate in our web portal. The contenders must check the eligibility to register for the admission process. The below steps help to fill the TS LAWCET Online Application 2019 from the website. Here we provide the direct link helps to submit the TS LAWCET Online Registration Form 2019. The candidate who submits the application form before the last date only eligible to appear for the selection process. For more information contenders can stay in touch with our web portal. The Telangana State LAW Common Entrance Test is the state level entrance examination conducts for LAW(UG) admissions by TSCHE (Telangana State Council of Higher Education). Every year a large number of contenders are applying for the TS LLB Admissions through LAWCET. This year TSCHE releases the LAWCET-2019 notification on the website. The interested candidates can register for the entrance test before the last date. The applied candidates can have the selection process of entrance examination, counseling & seat allotment. The detailed TS LAWCET 2019 Schedule update in our web portal. 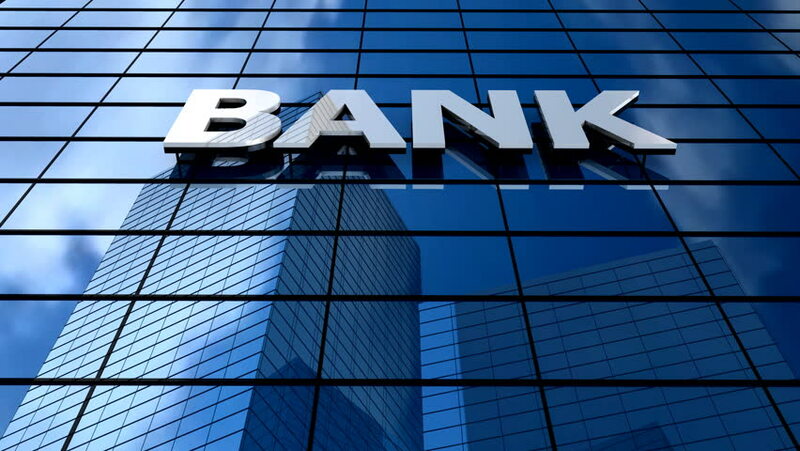 For more details contenders can follow our articles. For 3 Years LLB: The contenders need to have any graduation degree from a recognized organization with minimum 50% marks. For 5 Years LLB: To register for the admission candidate need to have 10+2 (intermediate) qualification from a recognized organization with minimum 50% marks. The candidates need to pay registration fees of Rs.350/- (For General Category). Application Fees of Rs.250/- (For SC & ST Category). The applicants must pay the application fees through online mode via TS Online/ Debit/ Credit Card for Payment Gateway of Visa/ Master/ Maestro. The candidates interested to register for the selection of the admission process need to follow the simple steps to submit the application form. The contenders need to submit the accurate date to submit the application form. If candidate accused with an inaccurate date, those will be eliminated from the selection without intimation. So all the applicants must submit their details carefully. Search for the LAWCET 2019 Notification link. Click on the link & read the notification/eligibility clearly. Select the Online Registration Form link. Payu the application fees through online. Take a hard copy of the application form for reference. The contenders registered for the selection of the admission process will have the written test. The students can prepare well for the examination to get qualified for the admissions. Thi year we expect a large number of applicants than the previous year. So we expect that TS LAWCET Cut Off Marks 2019 will be high. The applicants can use the TS LAWCEP Syllabus, exam pattern, TS LAWCET Previous Question Papers to prepare well for the selection. The Telangana LAWCET Dates 2019 update in our web portal according to the officials. For more information contenders can stay in touch with our web portal for latest updates. 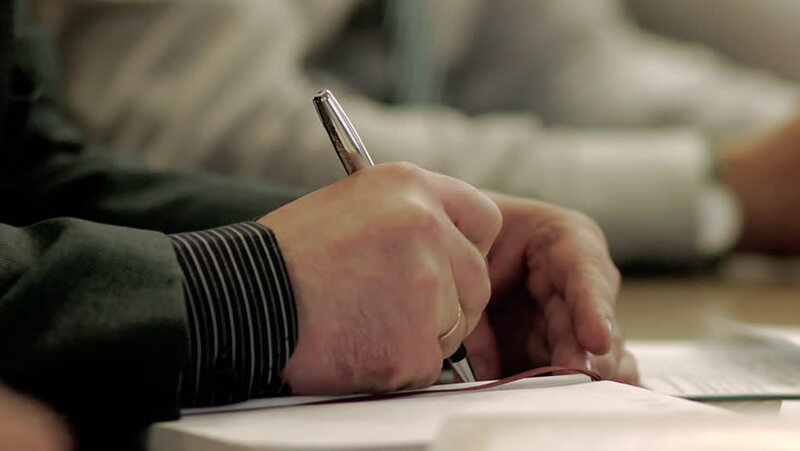 KMAT Registration 2019: The Karnataka Management Aptitude Test (KMAT), Kerala had released a notification for the admissions of MBA courses 2019. The candidates interested to join in Management of Business Administration (MBA) courses can apply for the KMAT Kerala 2019 through online. The organization conducts the KMAT in twice a year (February & June). The candidates going to appear for the KMAT 2019 Notification can check the eligibility details mentioned above. The eligible candidates can register for KMAT Admissions February/ June 2019. The KMAT Registration Dates 2019 available on the official notification. Generally, organization releases the KMAT Online Applications for February 2019 Session in the month of October/November 2018. And for KMAT June 2019 Registration Form available in March/April 2019. The exact release dates of Karnataka MAT 2019 Application Form update in our web portal. The applicants submit the registration form before the last date can have the selection of written test & interview/ group discussion. The aspirants can check the details of KMAT 2019 Eligibility, selection process, Kerala MBA Entrance Exam Dates & others in the article below. Qualifying Exam: The candidate should have a minimum of 3 years of Bachelor’s degree/Master degree in any stream from a recognized university. Minimum Marks: The candidates should have obtained 50% marks in aggregate (45% for SC/ST candidates). Appearing Candidates: Final year of Bachelor’s degree can also apply. Qualifying Exam: The candidate should have Bachelor’s degree from a recognized university with Mathematics at 10+2 or graduation level. The candidates need to pay application fees of Rs.800/- through online mode (credit card/ debit card/ internet banking). The candidates going to register for the KMAT Kerala MBA Admissions 2018 can check the application dates on the official site. The KMAT Application Form Dates 2019 update in our web portal shortly. The applicants must fill the application form with an accurate date. The applicant found as any false accusation of information those will be eliminated from the selection (have to face other consequences). Here we provide the simple & easy steps to download the application form for reference. Select the admission session (February 2019 or June 2019). Open the notification pdf & read the eligibility requirements clearly. Eligible candidates click on the KMAT 2019 Online Registration link. Fill the application form with the required details & upload the documents. Pay the application fees through online. Click on the submit option after re-checking the entered details. Every year large number of contenders registering for the admissions of Management courses in Kerala State. This year we are expecting a large number of applicants than in the previous year. So applicants can prepare hard for the examination to get more than the cut off marks to get the admission/ seat. Based on the number of applicants & the competition level KMAT 2019 Cut Off Marks will change. The Kerala MBA Entrance Cut Off Marks 2018 releases along with the release date of KMAT 2019 Results. Here we provide the KMAT Expected Cut Off Marks to get an idea about the minimum qualifying marks. The applicants need to practice & plan their preparation by using the KMAT 2019 Syllabus, exam pattern & previous year question papers details update in our web portal. The KMAT 2019 Exam Pattern available on the official notification. The Kerala MBS Admission Test Pattern will similar to the previous year exam pattern. The students can check the KMAT Previous Question Papers Feb/June Session to practicing/ know the questioning pattern/ weight-age of the individual topics/ time management etc. The candidates can check the KMAT 2019 Exam Centers on the official website. The candidates going to appear for the entrance examination need to get the admit card from the official site. The release date of the KMAT Admit Card 2019 intimated in our web portal. Without the admit card contenders not allowed to appear for the examination. The admit card can have the details of candidates personal details, examination center, address & examination instructions. Generally, organization releases the KMAT 2018 Call Letter/ Hall Ticket before 10-15 days of the examination. After completion of the examination here we provide the details of KMAT Result 2019, cut off marks, merit list, KMAT 2019 Interview Dates & others. AP LPCET Notification 2019: Department of School Education, Andhra Pradesh is going to conduct the LPCET (Language Pandit Common Entrance Test) in the month of July 2019 for LPT (Language Pandit Training) Course. The AP organization issue the AP LPCET Admission 2019 Notification. The aspirants who take admissions for LPT Courses in AP those can fill the application before the last date. AP LPCET Application Form 2019 will available in the month of May/ June 2019. The aspirants can check the AP LPCET Eligibility 2019 to refer given article. Interested and eligible aspirants can utilize this best chance. Get here complete details regarding Andhra Pradesh LPCET Notification 2019 such as eligibility criteria, application form, admit card, exam pattern, application dates, etc. Participants who applied for the entrance exam can download the AP LPCET Admit Card 2019 from the official web Portal. Participated can need to stay in touch with our portal. AP Department of School Education is every year conducted the LPCET (Language Pandit Common Entrance Test) for LPT Courses. The CET exam date will update shortly in the main portal. The candidates who are looking for the LPT Courses Admission those can grab this best opportunity. Interested and eligible candidates to fill the application form before the last date. The aspirants who are looking for the AP LPCET Syllabus 2019 & Exam Pattern will available given article. The aspirants who attempted in the common entrance test those can download the AP LPCET Result 2019 from the main portal after the declaration of the result. The students satisfy Local/ Non-Local status requirement as laid down in the AP Educational Institutions Order 1974 as subsequently amended. Participants who passed the at least qualifying mentioned below are eligible to apply. The government of AP or MA (Hindi). People should have done 19 years as on 1st July 2019. Candidates can need to pay the application fees Rs.500/- through payment Gateway mode and online mode by using Internet Banking, Credit Card, Debit Card. Interested and eligible people to take admission LPT Courses in AP can apply through online mode before the last date. The application process steps are given below here. People can need to visit the official website. Find the AP LPCET Online Application 2019 on the home page. Attach a scanned pass photo size photographs & signature. Download and take a printout of application for further uses. The entrance test will contain objective type/ multiple choice question paper. There will be a separate syllabus for all parts. For more details about the syllabus to refer official notification given below link. Participants who are looking for the exam pattern and syllabus will intimate shortly in this page so, aspirants need to stay connected with us. The hall ticket will available in the month of July 2019 on the official link. The people who are going to participate in the entrance exam can download the admit card from the official web portal prior to the entrance test. The Contenders must carry original id proof along with hall ticket to the examination hall. AP LPCET Admit Card 2019 can download by using application number, date of birth from the main portal. Without the entry card, Aspirants will not allow in the examination hall. All the details about entrance exam such as entrance exam date, time, exam center will available on the admit card. The contenders who attempted in the common entrance test will eagerly be waiting for the result. The aspirants who are seeking for the result will announce soon on the official web portal. The board will release the AP LPCET Entrance Result 2019 on the official main link. Most Probably result will available in the month of Aug 2019. Contenders can also check AP LPCET Entrance Rank Card 2019 details in the official web portal. The students using their reg number and date of birth need to download the entrance test result. We will intimate the updates about the result date, the links once the CET is completed. The result date will publish shorty one months after completion of the LPCET. For more latest information Andhra Pradesh Language Pandit Common Entrance Test to refer official notification given below link. SCERT Odisha Entrance Result 2018: Here is a notice for the aspirants who attend the Odisha B.Ed, M.E.d, D.El.Ed, B.H.Ed, B.P.Ed, M.Phil Entrance Exam 2018. The board authorities recently conducted the SCERT Odisha Entrance Exam on 07th to 14th August 2018. The candidates who wrote the admission entrance exam all looking for the SCERT Odisha B.Ed Entrance Result 2018. The board authorities now plan to release the admission entrance exam result on its web page. The students who appeared the exam all can check the Odisha B.H.Ed Entrance Answer Key 2018 through official page. The board authorities release the written exam answer key on its web page after few days of the exam was completed. The authorities also issue the SCERT Odisha M.Ed Entrance Cutoff 2018 Marks. The candidates who want to check the result, passing marks, Odisha B.P.Ed Entrance Selected List 2018 can follow the below article. Directorate Of Teacher Education And State Council Of Educational Research & Training (SCERT) Odisha is one of the wells know and famous board. The board every year conducted the many entrance exam to the candidates. The huge number of students every year applied for the Odisha SCERT admission and many of the candidates also got the admission in their interesting courses. Now this year the authorities released the SCERT Odhisa Admission Notification 2018. The candidates who have the interest to all applied the admission application form and attend the entrance exam from 04th to 14th August 2018. The written exam attends candidate scan check & download the SCERT Odisha M.Phil Entrance Exam Key 2018 through official page. The authorities once issue the written exam answer key pdf file we updated on our page. Once the exam was completed the board authorities plan to release the exam result. The candidates who attend the SCERT entrance exam all eagerly waiting for the SCERT Odisha M.Ed Entrance Result 2018 date and searching for the result date on the various web portal. The board authorities prepare & release the exam result on its web page only. The admission entrance exam completed after a few days the board authorities issue the exam result. The aspirants may get the exam result in the month of August/September 2018. Once the authorities declare the result date we updated on our page. After release the exam results the students visit the official page and check the Result of SCERT Odisha Entrance 2018 Test. The candidates by using the exam hall ticket number & date of birth can check the exam result. On our web page we giving the link to check the exam result through official page. The students by using the exam result link visit the official page and check the result. The simple way to check and download the exam result steps is mentioning the below. The candidates who wrote the exam all waiting for the exam cutoff marks. The board authorities prepare & release the Odisha D.El.Ed Cutoff Marks 2018 on its web page. The state board authorities release the exam cutoff marks after completion of the entrance exam. The candidate can get the exam passing marks along with the result. The admission cutoff marks are the minimum passing marks for the exam. The authorities release the exam qualifying marks in the month of August/September 2018. The authorities by using the few factors prepare the exam cutoff marks. The exam cutoff marks declared factors is mentioning the below. The authorities by using this factors prepare & release the exam cutoff marks. The exam appeared candidates visit the official page and check the Odisha Entrance Expected Cutoff 2018 marks and selection wise cutoff mark. By using the expected cutoff marks guess the result staus. For aspirants references the here, we listed the reservation wise seat detail. Once the written exam result was released the board authorities prepare the exam selected list. The authorities by using the exam cutoff marks prepare the Odisha B.P.Ed Entrance Merit List 2018. The candidate who satisfies the exam cutoff marks those all qualified in the entrance exam. After few days the board issue the exam selected list pdf file on its web page. The authorities also released the exam score card. The exam qualified candidates can visit the official page and download the SCERT Odisha Entrance Rank Card 2018 by using the hall ticket number & date of birth. Once the authorities release the exam result, cutoff marks, & merit list we intimated on our page. The candidates have any doubts on above article please comment below we updated on our page. For more latest updates aspirants regularly visit our web page. AP LAWCET Notification 2019: Here is a notice for the aspirants who waiting for the Andhra Pradesh LAWCET Notification 2019. The APSCHE authorities going to release the AP LAW Admission Notification 2019 in coming weeks. The candidates who have the interest in AP Law Courses all can check the AP LAW CET Admission 2019 Dates and apply for the application form. The authorities release the admission application form on its page. The starting date of the AP LAWCET Application Form 2019 in the month of February 2019. The last date for submitting the admission application form is in the month of March 2019. The state board authorities conducting the AP LAWCET Admission Process 2019 is written exam and counseling. The candidates want to check the more details about the application dates, online application process, Andhra Pradesh LAWCET Eligibility 2019, exam date and other details can follow the below article. Every year the AP Law Common Entrance Test (APLAWCET) conducting by the Sri Venkateswara University on the behalf of the Andhra Pradesh State Council of Higher Education (APSCHE). The AP LAWCET is a state level entrance exam. The candidate by writing the Andhra Pradesh Law Entrance Exam 2019 can get the admission into 3 years LLB, 5 years LLB Courses. Every year a huge number of candidates applied the APSCHE conducting admission process and many of the students also got the admission in the AP State private & Government college. This year now the APSCHE is going to release the AP Law Admission Form 2019 in the month of Feb & March 2019. Once the admission application form released, the candidates visit the official page and check all details of the admission and apply the Online Application of AP LAWCET 2019. The Andhra Pradesh LAWCET 2019 offered courses list are mentioned the below. The students who want to apply the admission notification all must full fill the board declared eligibility. To help the aspirants here we listed the admission eligibility. The candidates must complete the degree/ graduate from any recognized institute. And also score the at least 45% of marks (40% marks for SC/ ST applicants. The students must pass the 12th class/ intermediate from any certified board with 45% of aggregate marks (40% marks for SC/ST candidates). There is no age limit for Law admission application. The aspirants can pay the application fee Rs 700 via online mode by using the Credit Card, Debit Card, Internet Banking. The candidates who have the above eligibility and interested in the LLB courses at Andhra Pradesh state all can apply the admission application form. The state board authorities issue the AP LAW CET Online Application Form 2019 on its web page. The candidates who want to fill the admission application form all check admission dates and fill the application form. For candidates references here we listed the few steps to fill the admission online application form. The easy way to fill the application steps is mentioning the below. Finally, download the admission application form for further preferences. The candidates who going to write the admission entrance exam all can check the exam pattern. The state board authorities release the Andhra Pradesh LAWCET 2019 Pattern along with the admission notification pdf. The students check the admission paper pattern and prepare for the exam. 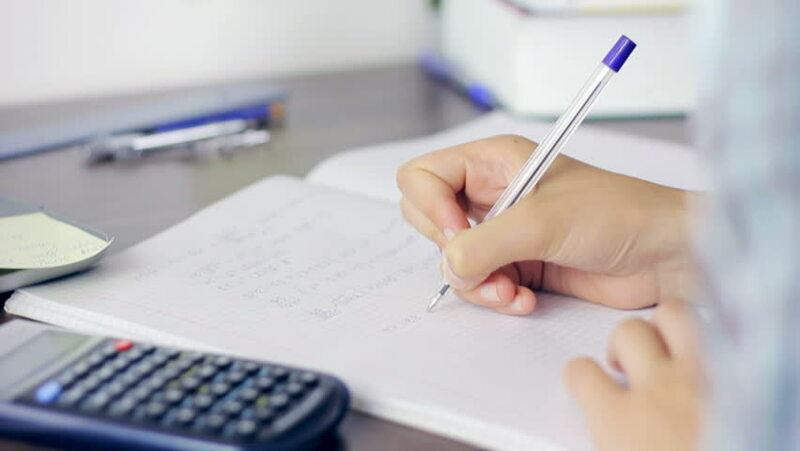 By using the exam paper pattern & AP LAWCET Syllabus 2019 the candidates can know the number of questions, a number of marks, names of the subjects, exam total time duration, and other details. According to the official notification Pdf the exam pattern is mentioned below. The entrance exam conducting on the multiple choice questions. Each question contains the 1 marks. The exam does not contain the negative marking. The candidates who applied the admission application form all waiting for entrance exam hall ticket. The board authorities after application dates closed, prepare & released the AP LAWCET 2019 Hall Ticket. The board authorities only release the exam call letter on its web page. The Andhra Pradesh state board authorities prepare to issue the exam hall ticket 15 days before the exam in the month of April 2019. Once the board officials release the exam call letter we intimated on our page. After the students visit the official page and download the exam hall ticket by using the application form and date of birth. The students must carry the admission entrance exam hall ticket to the exam hall ticket. We updated all the details about the admission dates, exam dates and other details on our page as soon as possible. The students have any doubts on above article please comment below we answer your questions. For more latest updates regularly visit our page. MP BA B.Ed & B.Sc B.Ed Admission 2019: Madhya Pradesh Professional Examination Board (MPPEB) is going to conduct the entrance exam in the month of May 2019 for MP BA B.Ed, B.Sc B.Ed Admission (4 years Course). MP board has issued the notification to invites online application from the eligible candidates in respect of BA, B.Ed, B.Sc, B.Ed courses. The aspirants who are interested to study BA B.Ed, B.Sc B.Ed courses can apply for admissions through online before the last date. MPPEB BA B.Ed Application Form 2019 will available in the month of April/ May 2019. For the completed details regarding PEB MP B.Sc B.Ed Admission 2019 to refer given article. The participant can check the MPPEB BA B.Ed Eligibility 2019 to refer given article. Aspirants who applied for the entrance exam can download the MP BA B.Ed Admit Card 2019 from the official web Portal prior to the entrance exam. The students are given admissions only on the basis of scores obtained by the applicants in the entrance examination conduct by the Madhya Pradesh Professional Examination Board (MPPEB). Interested and eligible applicants can apply through online mode. The applications interested to take admissions can register for the admissions into BA B.Ed, B.Sc B.Ed Courses in MP Board. The aspirants who are searching for the exam pattern and syllabus will available given below page. Here, candidates can get detailed information about MPPEB BA B.Ed Admission 2019. People can need to stay in touch with us for more latest updates about PEB MP B.Sc B.Ed Notification 2019. People must have passed 12th Class/ Intermediate from the recognized board with minimum at least 50% marks. For more details about qualification to refer given below article. OBC/ ST/ SC category Candidates to pay the application fees: Rs. 320/- through online mode by using the credit card, debit card, internet banking. The applicants who are looking for the application will available in the official web portal can fill the application form through online mode before the last date in the month of May 2019. Here we providing simple and easy steps to apply the application form. Search the link named MP B.Sc B.Ed Application Form 2019 on the home page. Fill the asked details in application form without mistakes. Pay the application fees as per category wise through online mode. The entrance exam will conduct an online mode. Entrance exam will contains objective type/ multiple choice question paper. The postulants who applied for the entrance exam must have the PEB MP BA B.Ed Hall Ticket 2019 compulsory to appear for the entrance examination. The board uploads the hall ticket on the main portal two weeks before the entrance exam date. The Students should bring the admit card along with id proof to the examination hall. The students using their application id and date of birth need to download the call letter. The contenders can get the venue details, exam time and exam date in the call letter. The aspirants will not be allowed to write the entrance exam without it. The result will available soon in the main portal. The officials will declare the MP BA B.Ed Entrance Results 2019 only on the official main portal. The applicants who participate in the entrance exam will eagerly be looking for the result. For the candidates searching for the result, we will declare the latest information on the result. Most probably result available in the month of July/ Aug 2019. We will declare the details of the result date & links once the exam is completed. The result can download by using the application number or password from the main portal after the declaration of the result. MPPEB BA B.Ed Admission 2019 will start after the declaration of the result and merit list. The successful candidates for the entrance test will shortlist for Counselling. The contenders who are shortlisted for the entrance exam those must bring originally certificated, pass photo, and id proof to the Counseling. After the allotment of seat, the people have to report to the allotment for to admission into BA B.Ed Courses in Madhya Pradesh Professional Examination Board within the specified date & time to complete the admission process. The applicants who are qualified for the entrance exam those can call for the Counseling. The qualified candidates for entrance exam will shortlist for document verification MP B.Sc B.Ed Admission 2019 starts after the declaration of the result and merit list. The MP BA B.Ed Counseling Schedule 2019 will announce in the month of June/ July 2019. The candidates shortlisted those must carry required original documents, id proof pass photo to the Counselling. After the allotment of seat, the participants need to report to the allotment campus within the specified date & time to complete the admission process. For more details about Madhya Pradesh Professional Examination Board BA B.Ed, B.Sc B.Ed to refer given article. MAH-MBA/MMS-CET Syllabus 2019-20: Recently the Directorate of Technical Education(DTE), Maharashtra had released a circular for the MBA /MMS Admissions 2019. The interested aspirants had applied for the Mah MBA/ MMS CET Application through online in the month of January & February 2019. The aspirants applied for the admission are going to attend the Maha MBA/MMS CET 2019 Online Exam in the month of March 2019. The students going to attend the entrance test will be searching for the MAH-MBA/MMS-CET Syllabus on various sites. So here we mentioned the Maha MBA CET Exam pattern details here. The students preparing for the admission will test need to go through the Maharashtra MMS CET Sample Papers on the official site. The aspirants to know the DTE Maha MBA CET Cut Off, Qualifying Marks etc details kindly give a glance at the below article. The DTE Maha is board conducting the various admission test for the admission of UG and PG courses. Every year a huge number of aspirants take part in the entrance test conducted by the DTE Maharashtra. Now the university is going to conduct the entrance test to fill admission seats in MBA and MMS course. The aspirants are going to attend the admission test in the month of March 2019. The admission test is going to conduct the districts of Amravati, Aurangabad, Mumbai, Nagpur, Nashik, and Pune etc. The aspirants going to attend the exam will eagerly be searching for the exam. But below we have mentioned the MMS CET Entrance Test Dates of DTE Maha. The students by a giving glance at the below table will get an idea about the Maha MBA CET Admission Test Dates. The students need to read the whole article to know collect details regarding CET exam. The contenders going to attend the admission test are advised to give a glance to the below DTE Maha MMS CET Question Paper Pattern to know the total number of questions asked in the exam and marks allotted for each question and time duration of the entrance test. The students by seeing exam pattern will get an idea for the preparation of the admission test. The students want to information regarding exam pattern visit the official site. Here we have provided the Syllabus for DTE Maha CET Exam 2019. The aspirants going to attend the entrance test need to download the syllabus and start preparing for the admission test. The board is going to prepare the questions based on the topics mentioned below. The applicants need to be perfect the below topics to attend the exam well. The contenders will get the model paper details below. The contenders going to attend the admission test are need to go through the DTE Maha CET Sample Papers to get an idea about the type of questions going to come in the admission test. Even students will come to know the number of questions asked from each topic. The applicants need be in touch with official site to download the model papers of the Maha CET Exam. The students need to practice the previous year question papers to test the preparation level of the students. The applicants to know more details of model paper can visit the official site. The postulates going to attend admission test need download the admit card from the official site. The students will get Maha CET Admit card 10 days before the examination. the available dates of the admit card had mentioned above. The applicants need to carry the admit card to the examination hall. Without admit card the aspirants are not allowed to write the exam. The students will get hall ticket in the month of February 209. The aspirants need to download admit card using application number. The contenders to know more updates of the article to be in touch with the official site. The aspirants going to prepare for the admission test need to check the college wise the Maha CET passing marks. The students need to check the passing marks of the college in which their want to join. The applicants need to get more than the below qualifying marks to get admission in the below-mentioned college. For students, we will update the Maha CET cut Off marks soon on our web portal. The latest cut off mars will release a few days after completion of the exam. We hope the aspirants had got enough details Maha CET Exam here. The students have any doubts regarding the article can ask us by mentioning in the comment box. For students, we will update the latest details of the article here. To know these updates to be in touch with our web portal.